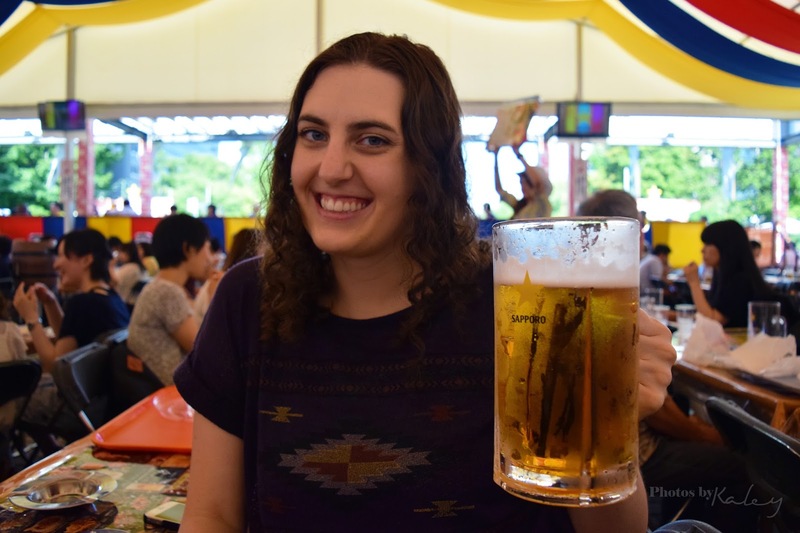 A few days before I left for Japan I asked some fellow travel bloggers if they wouldn't mind helping me out with this idea I had for a collaborative post. I got a great response for my idea and have had a number of fantastic submissions. So many, in fact, that I am comfortable making this a series. I'll feature two different bloggers a week and share with you the things they have shared with me! The topic of the posts is food. Since moving to Japan my love of food and cooking and eating has grown. I am more adventurous with my diet and I have grown to appreciate the natural tastes of food. 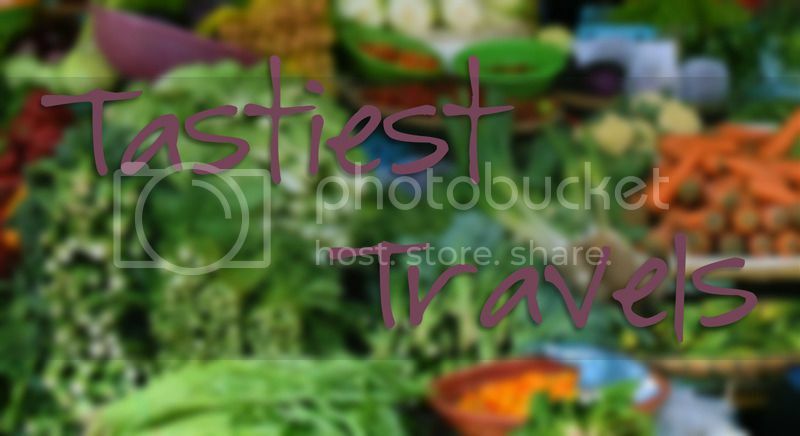 When I traveled to Vietnam my favorite thing was the food, and I even went on a food tour that was one of the best experiences of my life. 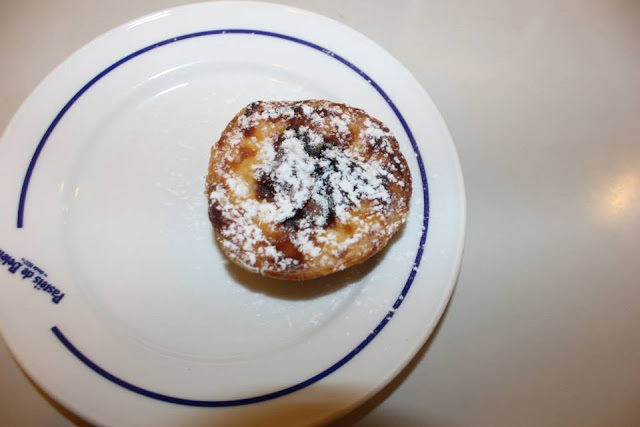 So I asked the bloggers to share with me the three best things they've eaten while traveling! Hope this provides some great insight if you find yourself in any of these places. 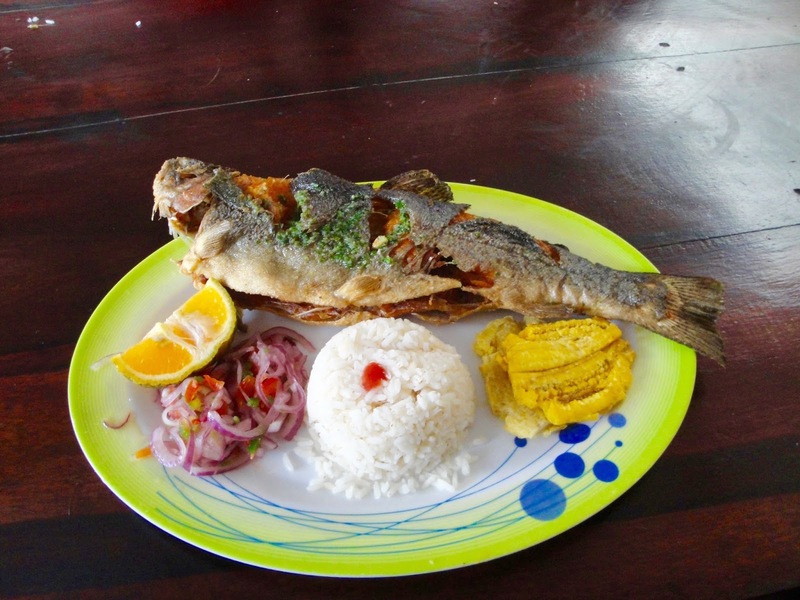 · Deep in the rain forest of Ecuador, a small town called Mindo offers a unique eating experience. For just $10 you can catch a fish from the river and have it cooked for you! Catching the fish was surprisingly easy and you can watch it be prepared right in front of you. If you prefer, you have the option to take the fresh fish and prepare it yourself. It is a very fun way to eat fresh fish just like a local! The fish was very good and had a delicious taste to it. The herbs used to season it were kept secret but they added the perfect flavor! · I remember this meal especially fondly because it was the first real meal I had eaten in almost two days. I came across the restaurant on the main Hauptstrasse of Heidelberg, Germany, while searching for the school I would be studying at. I never found the school, but I did find this delightful meal! The meat was cooked to perfection and wasn’t too dry or too rare. Even though I didn’t order my schnitzel with sauce on it, my meal was scrumptious! 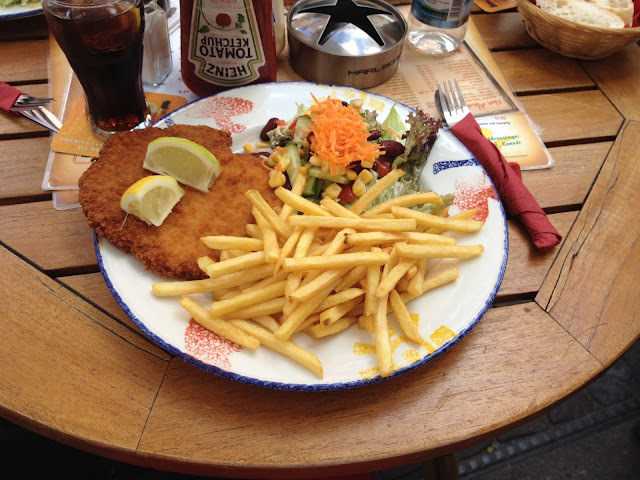 I can hardly wait to return to Heidelberg so I can stuff my face full of this Weiner Schnitzel! · After spending all day hiking around Neuschwanstein castle, the only thing I wanted to do was get back to my hotel room and sleep. Unfortunately, we were among the last people to leave the castle and missed our train back to Munich. I was with my parents, so the three of us had roughly an hour before the next train came along. We were starving so we began to hurriedly walk the streets of Fussen in search of food. The only problem was it was during the World Cup and Germany was currently in the process of slaughtering Portugal (4-0). We finally stumbled upon a pizza shop where we could get something to go. The owner was so nice and jovial that he made sure to get our orders out as soon as possible. I found it so ironic because the owner was Turkish, serving Italian food in Germany. I thought it was funny anyways. The three of us took a picture with him and hurried back to the train station. 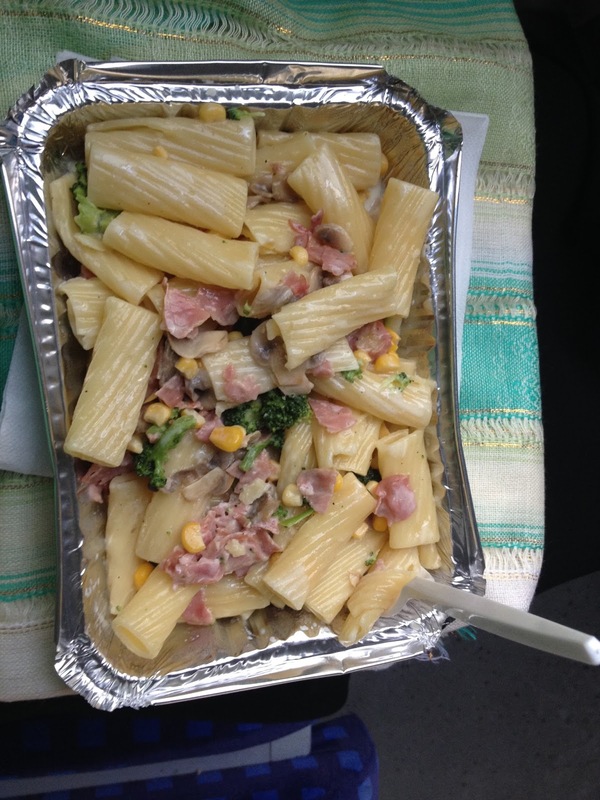 We didn’t try the pasta until we were on the train, but it was the best pasta that I had ever eaten. Nothing I’ve had since has even begun to compare. As an Israeli, I grew up eating Shakshuka for breakfast almost every weekend. Therefore, as an expat, the flavor of Shakshuka always reminds me of home. Originally from Tunisia, Shakshuka was introduced to Israel by Tunisian Jews during the fifties. Ever since then Shakshuka became one of the most popular Israeli dishes. The spices that are being added to the dish vary, depending on the cooker, which makes each Shakshuka unique. The famous Israeli restaurant “Dr. Shakshuka” took the dish even farther and they are serving it with a wide variety of additions such as meat, cheese and vegetables. The best way to eat shakshuka is to dip a piece of bread in it. As someone who lived in France for a year, I saw a “creperie” (restaurants that serve crepes) in every corner. Naturally, I couldn’t go on without trying the salty French crepes. When I first ordered the salty crepe I was a bit concerned since it seemed odd to me to eat a crepe that is not sweet. However, I was pleasantly surprise as to how tasty it was and how natural it felt. Therefore, it is no wonder why French crepes are one of the most popular dishes in the country. 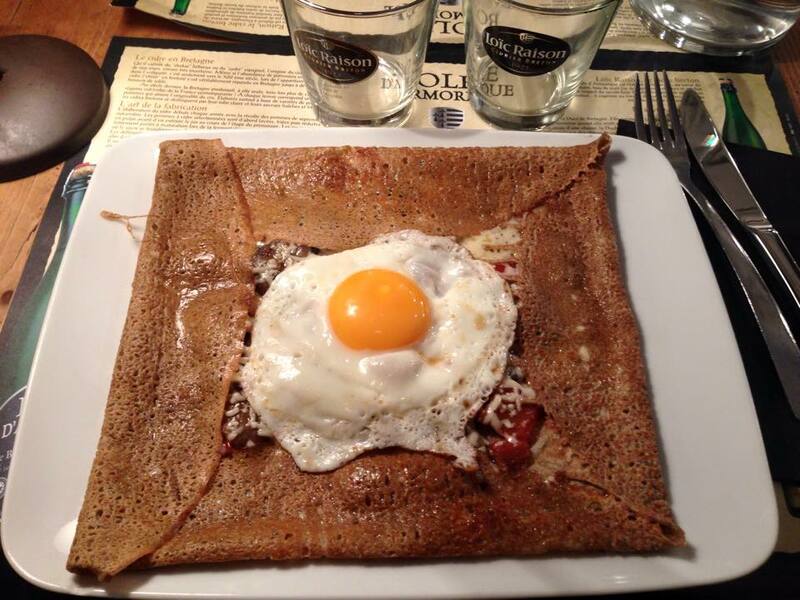 In France, you can order your crepe with basically anything- all types of meat, cheeses, eggs, vegetables or sea food; whatever you can think of. Thanks again to Marisa and Hadas for the great submissions! Definitely writing a few new dishes to my list of foods to try while traveling. That last egg tart looks especially tasty to me! If you'd like to submit something for the series, please send an email over to communicationisdifficult@gmail.com with the subject "Tastiest Travels" and I'll get back to you as soon as I can with details! Check back next week where we will feature some foods from Austria, Vietnam, Croatia, the Philippines and the US!